If you are coming to this page by searching, then I am sure that you are in big trouble. I have come across this error and my SQL Server was not getting started. When I looked into ERRORLOG, I found below errors about the PageAudit Property. 2016-12-30 15:45:36.36 spid9s Starting up database ‘model’. 2016-12-30 15:45:36.37 spid9s Error: 5172, Severity: 16, State: 15. ‘C:Program FilesMicrosoft SQL ServerMSSQL12.DAR_P11DMSSQLDATAmodel.mdf’ is not a valid database file header. The PageAudit property is incorrect. 2016-12-30 15:45:36.39 spid9s Error: 945, Severity: 14, State: 2. 2016-12-30 15:45:36.39 spid9s Database ‘model’ cannot be opened due to inaccessible files or insufficient memory or disk space. See the SQL Server errorlog for details. 2016-12-30 15:45:36.39 spid9s SQL Trace was stopped due to server shutdown. Trace ID = ‘1’. This is an informational message only; no user action is required. So, since the model database was having serious corruption, SQL was not getting started. 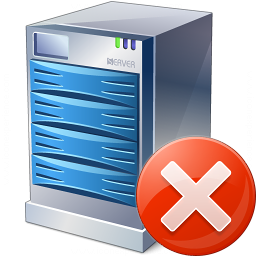 The error message essentially means that file header has been corrupted and SQL Server is not able to understand it. In my case since it was model database, there were two possible options. Get MDF and LDF file from some other server which has “exactly” same version of SQL Server. This would cause to lose data from the previous model database and will get it from another server. If we have a backup of the model and we wish to restore it first, then we need to rebuild system databases using the setup.exe command line. Before rebuilding, we need to keep a copy of MSDB and MASTER database files. As soon as we rebuild, all system database would be as fresh as new installations. After rebuilding, we can restore backups and bring SQL back to life. After I followed option 1, SQL Server came back online, but SQL Agent was giving trouble. I looked into SQLAgent.out file and here was the information. 2016-12-30 17:04:25 – ? The SQL Server Agent startup service account is NT ServiceSQLAgent$SAPSQL. 2016-12-30 17:04:25 – ? Configuration option ‘show advanced options’ changed from 0 to 1. [SQLSTATE 01000] (Message 15457) Configuration option ‘Agent XPs’ changed from 1 to 0. [SQLSTATE 01000] (Message 15457) Configuration option ‘show advanced options’ changed from 1 to 0. When I connected to SQL Server, I found that MSDB database was in suspect state. So, I need to restore that from the backup. If you ever face error mentioned in a blog title, restore from backup is the only option left. If you find some other solution, please share via comments.